Throughout 2018, we are highlighting Marriott Vacation Clubs and their incredible associates who go above and beyond to support local children’s hospitals. This month we celebrate Marriott’s Newport Coast Villas in Newport, California, whose associates work at 100% year-round to raise funds for their local CMN Hospital in 2018. And their work is not over. The staff at Newport Coast Villas find common ground in exceeding goals to provide exceptional and unforgettable vacation experiences for their guests and Owners. In addition to this priority, the Newport Coast team also exceeds in their commitment to giving back to Children’s Hospital of Orange County (CHOC Children’s), their local Children’s Miracle Network Hospital. After a successful summer season, the resort’s overall giving is over $60,000 year to date – setting the pace for a record year for fundraising in 2018. 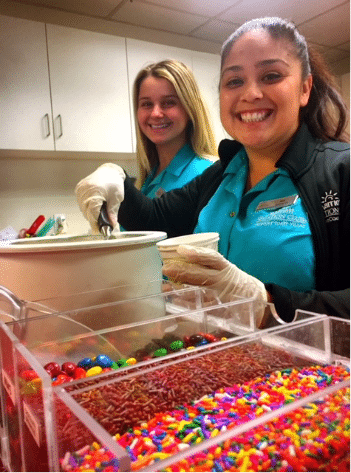 CHOC Children’s has as special place in the hearts of Newport Coast associates. 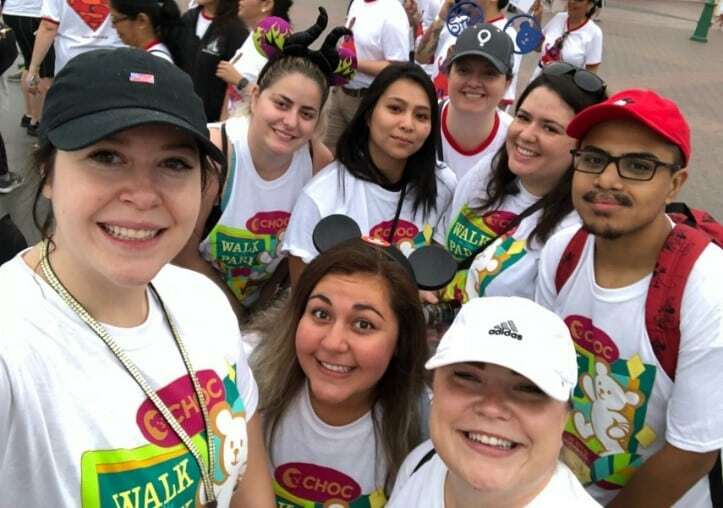 Each year, the resort team participates in the annual CHOC Walk in the Park event in memory of Stella, the daughter of a former front office associate. Stella was only 4-years-old when she passed away after receiving treatment at CHOC Children’s. Team Stella had a record breaking year with over 100 walkers and $13,000 raised for the walk. 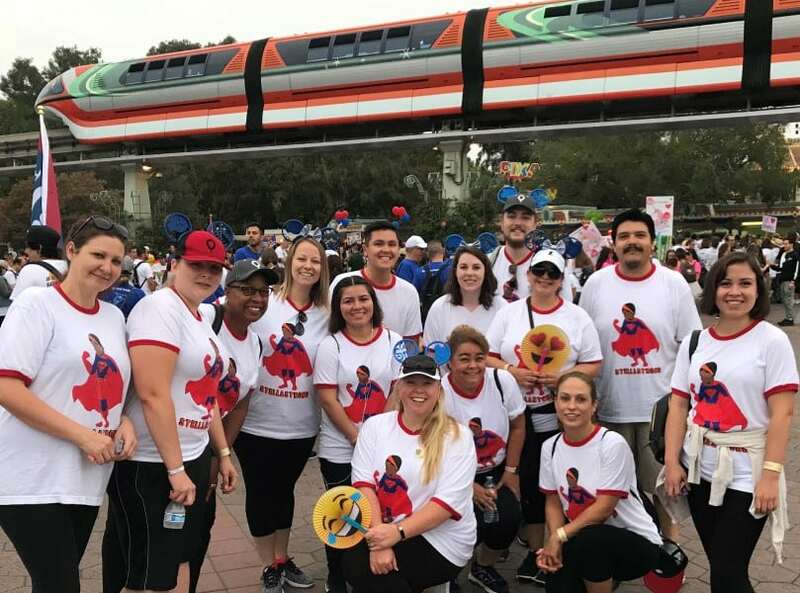 Associates from Grand Chateau and Pulse San Diego also joined in the fun this year, earning Team Stella a spot in the top 20 fundraising teams. The CHOC Walk in the Park raised a grand total of $2.4 million for the hospital. Newport Coast’s Team Stella participates in the annual CHOC Walk in the Park at Disneyland. The team had over 100 walkers and raised $13,000 towards their resort’s overall fundraising for CHOC Children’s. 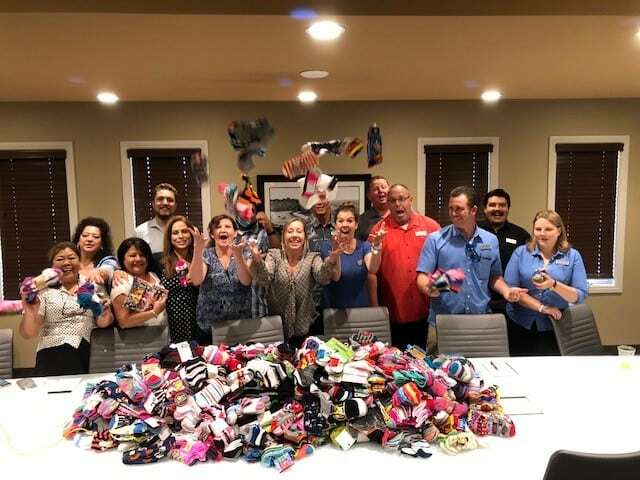 After learning the hospital was in dire need of socks for their patients to wear during in-patient stays, Newport Coast associates held a sock drive at the resort, hoping to gather 200 pairs of children’s socks. All departments pulled together to donate an incredible total of 1,877 pairs of socks for CHOC Children’s. The Golf Ball Drop events continue to be the largest generator of funds for the resort, raising $28,000 in sales. Golf ball sales run from March through August and result in four separate events: one associate drop, one vendor drop and two guest drops. The team works to maximize sales by targeting these specific audiences. Newport’s Activities team has done an amazing job at maintaining yearlong events that have helped raise over $28,000 through Atrio point of sale transactions. These ongoing events include Root Beer Float socials, Ice Cream Sunday parties, smore’s sales and DIY donuts, to name a few. No matter what month of the year, you are sure to see an event in the resort’s Activities Guide benefiting CMN Hospitals. Congratulations and thank you to the Newport Coast Villas team for their phenomenal efforts so far in 2018!